Work 1dc in 4th ch from hook, 1dc in next ch, * ch2, skip 2ch, 1sc in next ch, ch2, skip 2ch, 1dc in each of next 3ch, * rpt from * to * to end. Turn. Next Row – (RS) ch3, 1dc in each of next 2dc, * skip ch2, 1dc in next sc, ch3, work 3dc around the post of the last dc made, skip ch2, 1dc in each of next 3dc, * rpt from * to * to end, working last dc in top of ch3. Turn. Pattern Row 1 – ch3, 1dc in each of next 2dc, * ch2, skip 3dc, 1sc in top of ch3 on post 3dc group, ch2, 1dc in each of next 3dc, * rpt from * to * to end, working last dc in top of ch3. Turn. 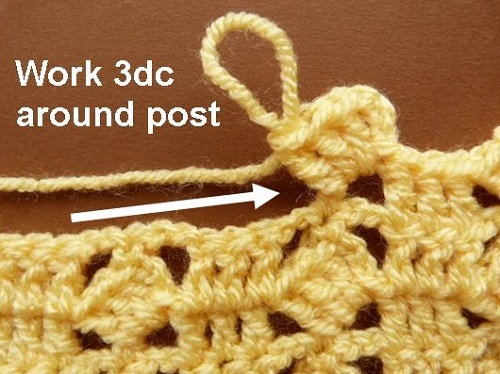 Pattern Row 2 – ch3, 1dc in each of next 2dc, * skip ch2, 1dc in next sc, ch3, work 3dc around the post of the last dc made, skip ch2, 1dc in each of next 3dc, * rpt from * to * to end, working last dc in top of ch3. Turn. 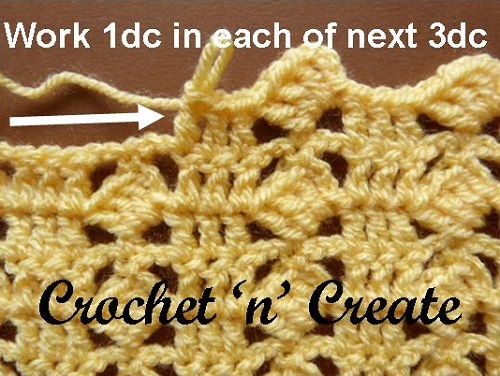 Rpt Pattern Rows 1 and 2 until you have reached your required length. 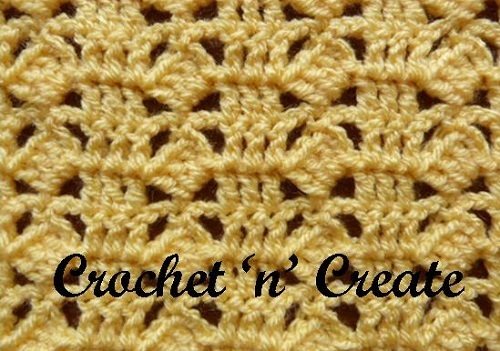 This entry was posted in Crochet Stitches, crochet tutorial and tagged crochet, crochet blanket, crochet patterns, crochet stitches, free crochet patterns, How too on 8th December 2016 by crochetncreate. 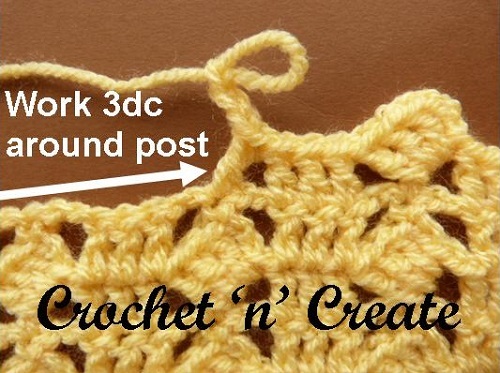 Thank you so very much for the lovely FREE Staggered Square Crochet stitch instructions. I’m a little above a beginner, but with your wonderful instructions and pictures, I feel confident that I will be successful with this stitch. 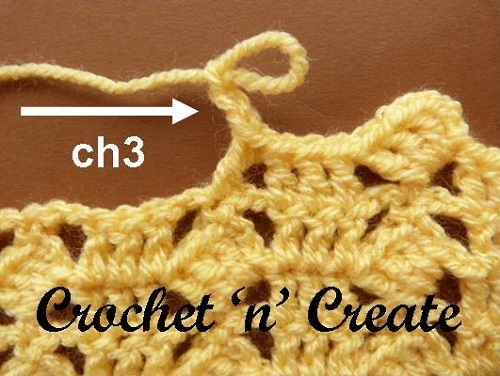 Once I feel comfortable and know the pattern, I want to crochet your gorgeous Pastel Baby Blanket that you designed using the Staggered Square stitch. Also, a heartfelt thank you for all the hours you put into your patterns to help people like me learn the art of crocheting. Although new to crochet, I have a very strong passion for it and hope to create some lovely items (like your Pastel Baby Blanket). I truly appreciate how you write your instructions, patterns, provide pictures to help us learn. You are so talented and extremely kind to give so much of your time and talent to help others learn. Wish me luck ~ I know I’m going to need it, but I’m stubborn and determined to learn your pretty stitch so I can crochet your gorgeous Pastel Baby Blanket (and I don’t even have a baby!!). 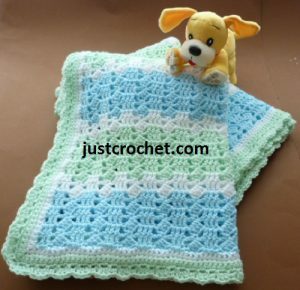 Thank you for your Kind comments Bobbie, I hope you enjoy the pastel blanket.